A unique architectural adventure, blending the post modern Mediterranean and Venetian style with the dark-blue Aegean Sea. A simple, yet aesthetic, environment worked out to accommodate the visitors who would like to experience something exceptional from the ordinary. 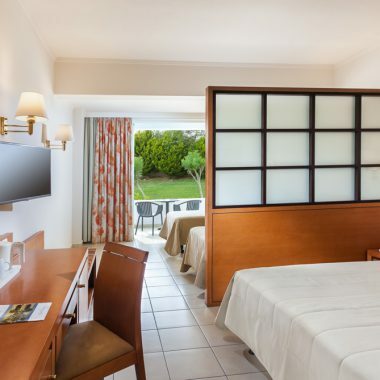 This impressive 4 star superior hotel is in a quiet position only 150m from the beach, 2,8 km from KOS city center (frequent local bus service available, as well as easy access by bicycle using the cycle road), 3 km from the harbour, 1,5 km from the yacht marina and 28 km from the airport. 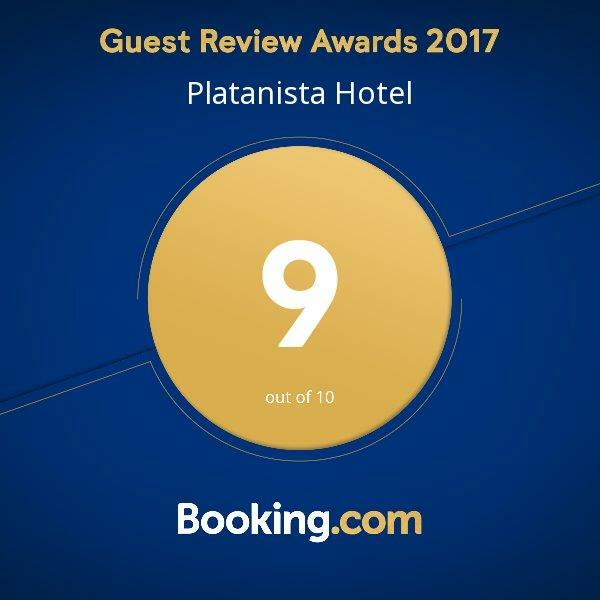 The hotel has been awarded continuously for its excellent service and quality by the most major European tour operators and the most popular travellers reviews internet sites. Taste the amazing blend of Greek and International cuisine indoors or at the restaurant veranda outdoors. Swim, relax and stay cool at the pools. There is one central swimming pool and a second one more quiet with jaccuzzi. There is also one swimming pool for the children. Enjoy the facilities at the Beauty Salon or relax at the Hammam, Sauna and Jacuzzi. At hotel Platanista the conference delegate will experience an environment designed for both business and pleasure. The conference facilities can cater up to 280 delegates supported by quality, professionalism, technology and services.